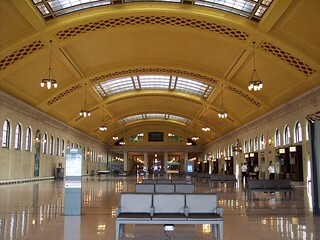 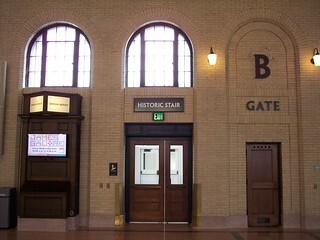 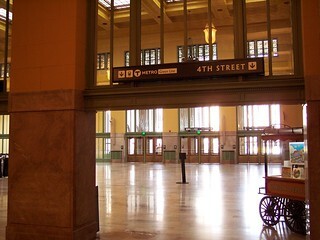 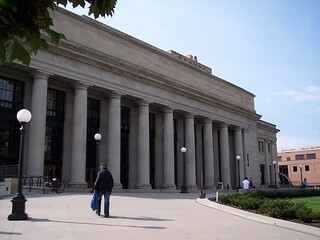 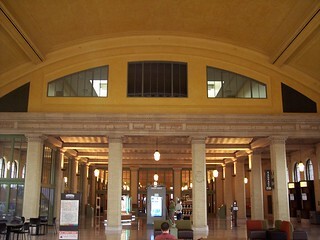 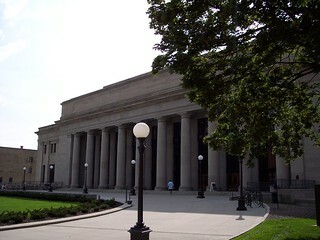 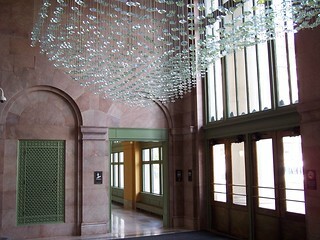 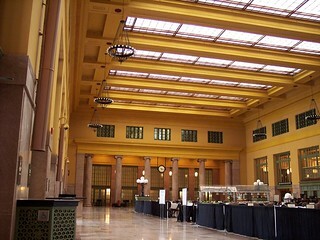 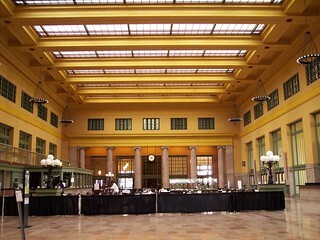 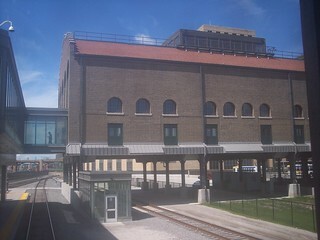 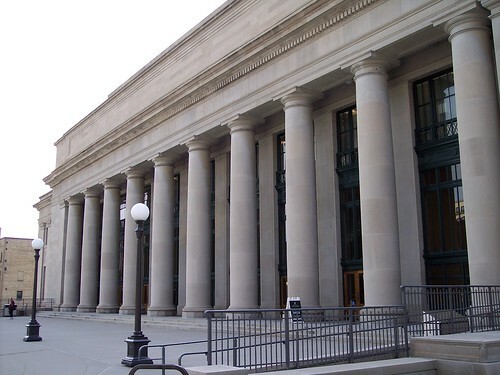 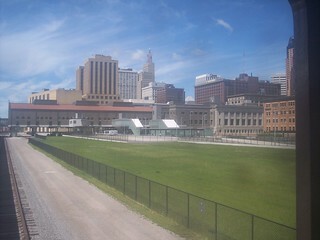 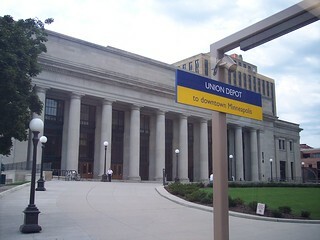 The Union Depot in St. Paul. 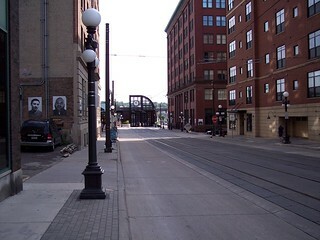 Most of the old tracks and platforms have been removed. 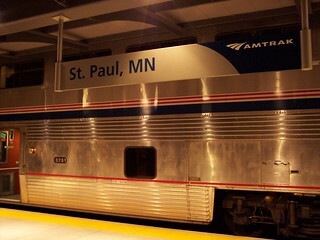 The Empire Builder making both a day and night stop at the station. 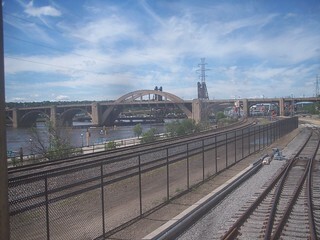 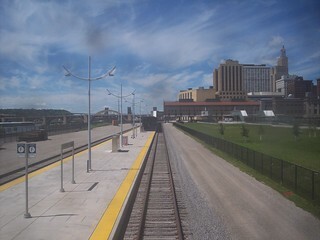 The Mississippi River runs right by the station. 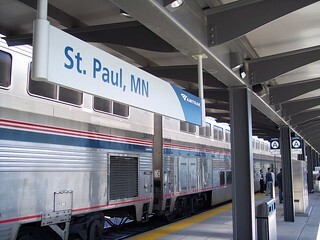 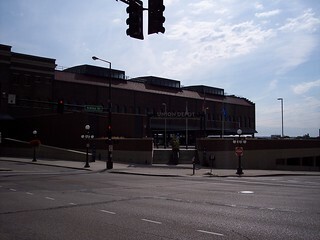 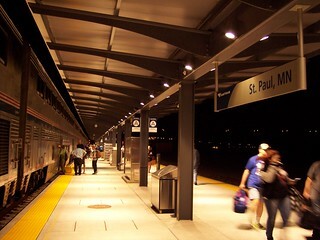 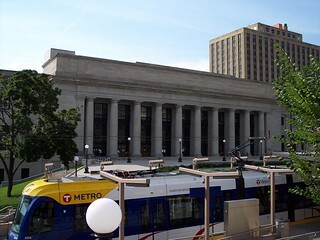 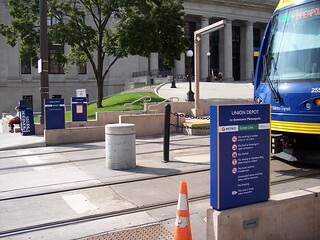 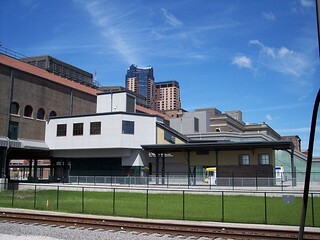 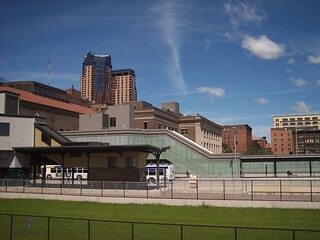 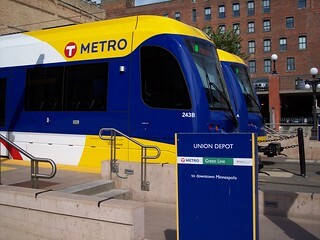 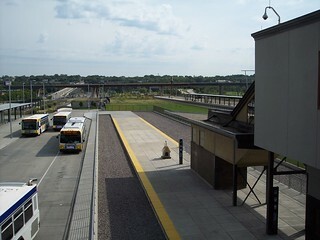 The Green Line light rail station sits in front of the depot. 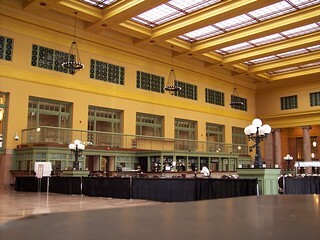 It looks like the former ticketing area now houses a restaurant. 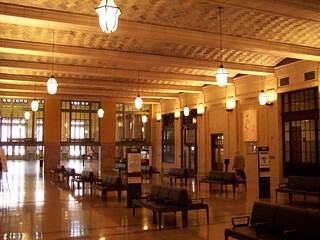 The main waiting room over the former tracks and platforms. 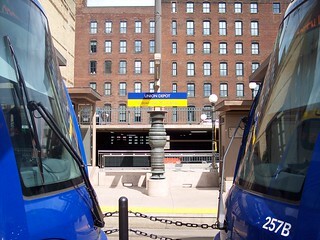 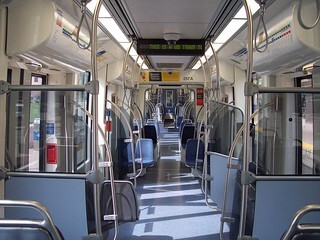 A pair of Green Line trains waiting at Union Depot. 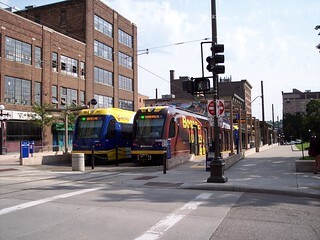 On board the Green Line train waiting to depart, and a look down the street toward the end of the light rail line.